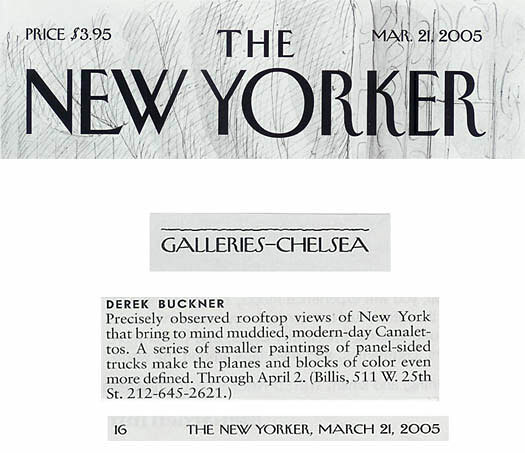 Born in 1970, Derek Buckner lives in Brooklyn, NY, with his wife, novelist Joanna Hershon, their twin sons and daughter. 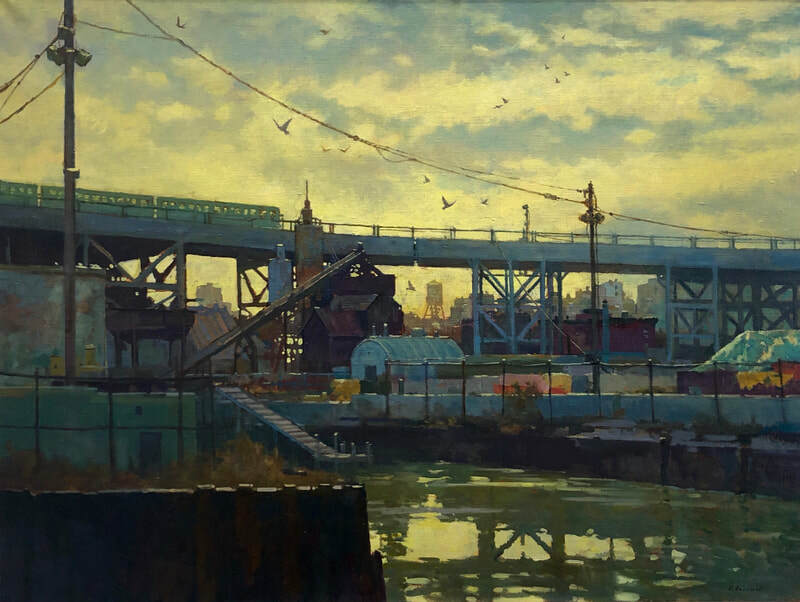 The artist graduated from LaGuardia High School of Music and Art, as well as Vassar College, The Art Students League of New York and received a B.F.A. 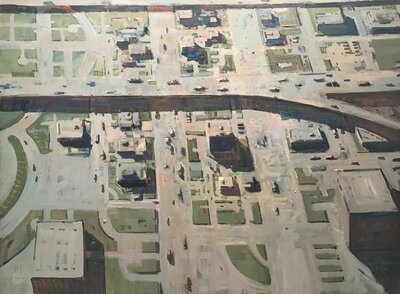 from The School of the Art Institute of Chicago. 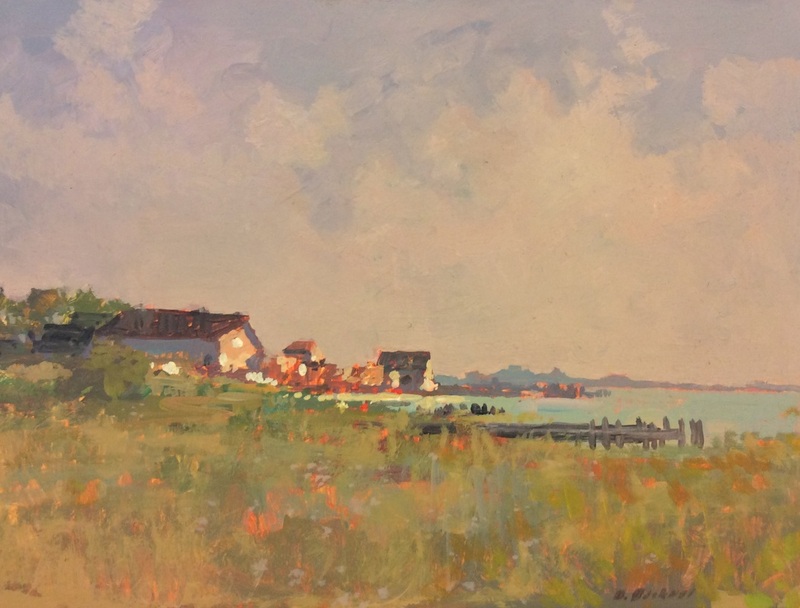 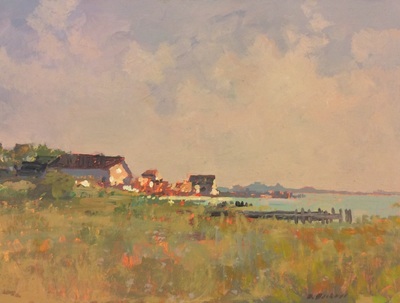 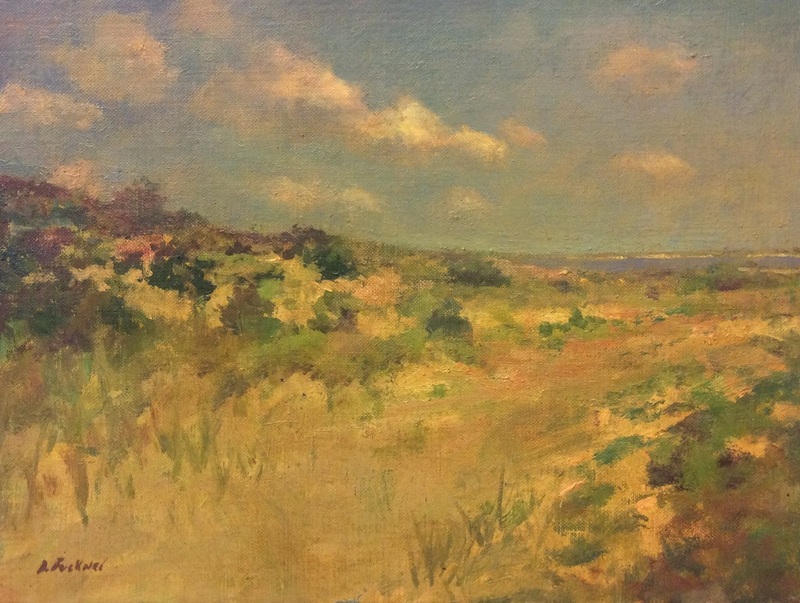 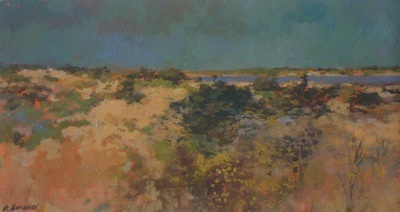 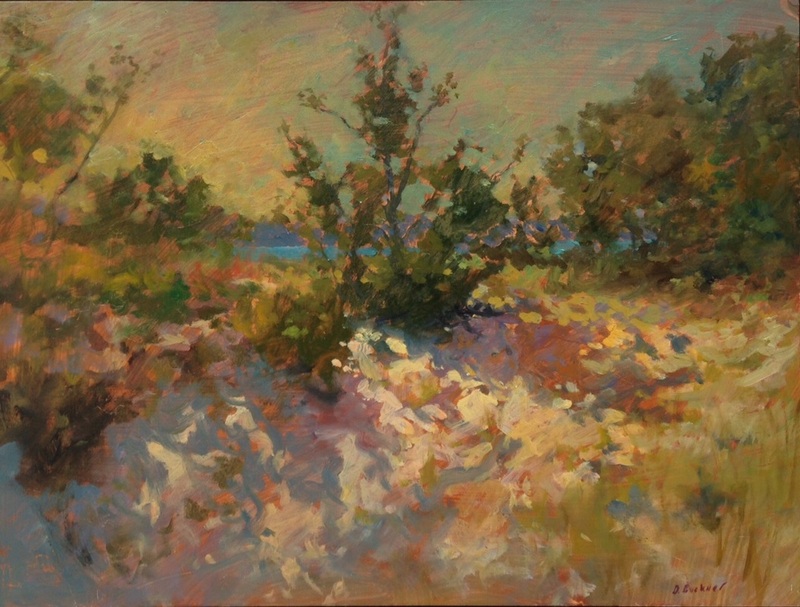 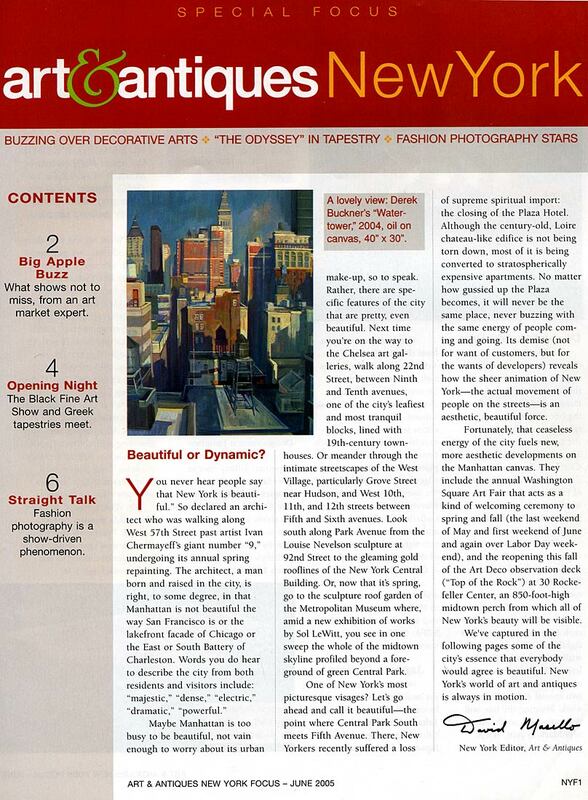 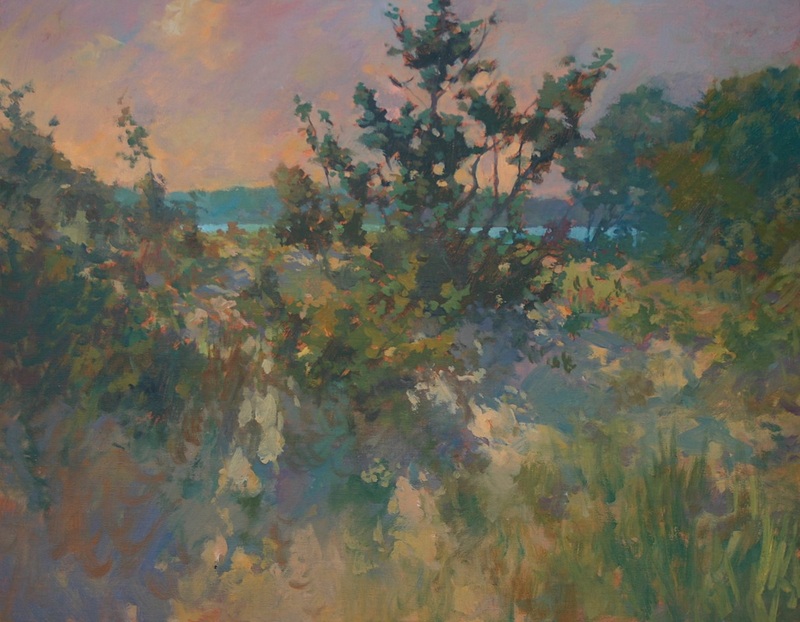 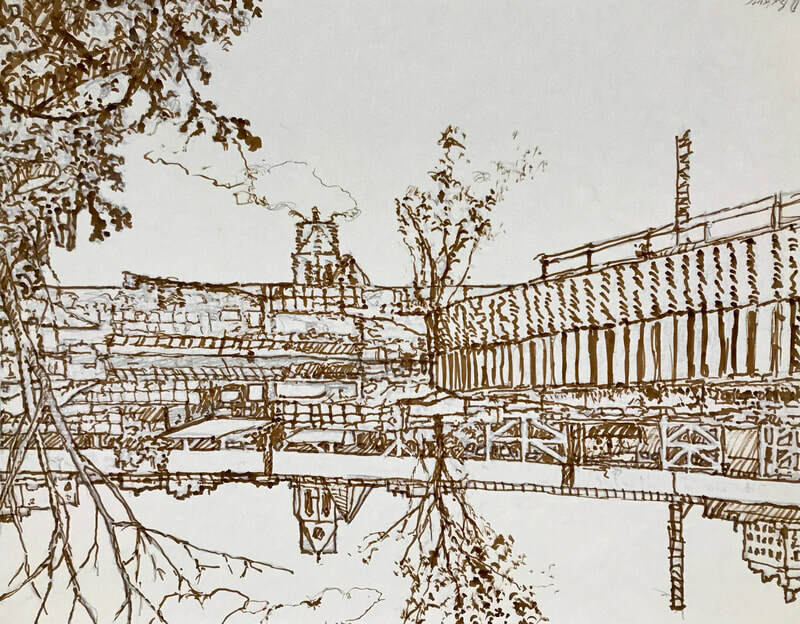 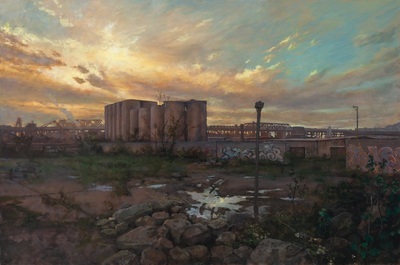 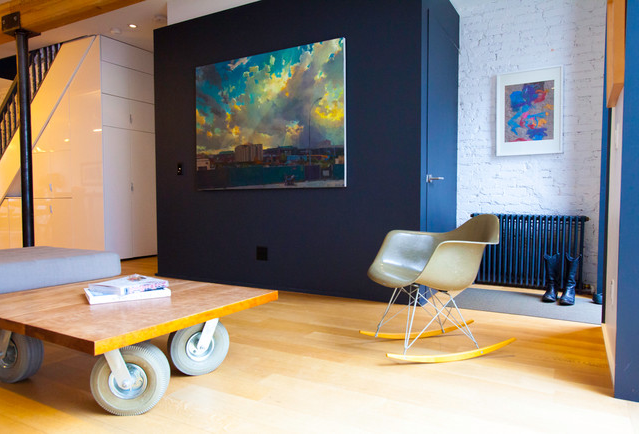 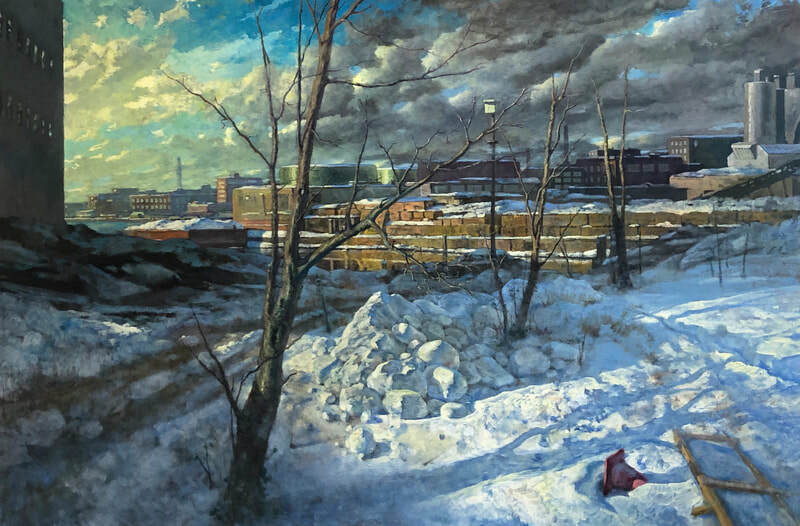 During his career, Buckner has discovered many different themes, but the one to which he has most often returned is the urban landscape. 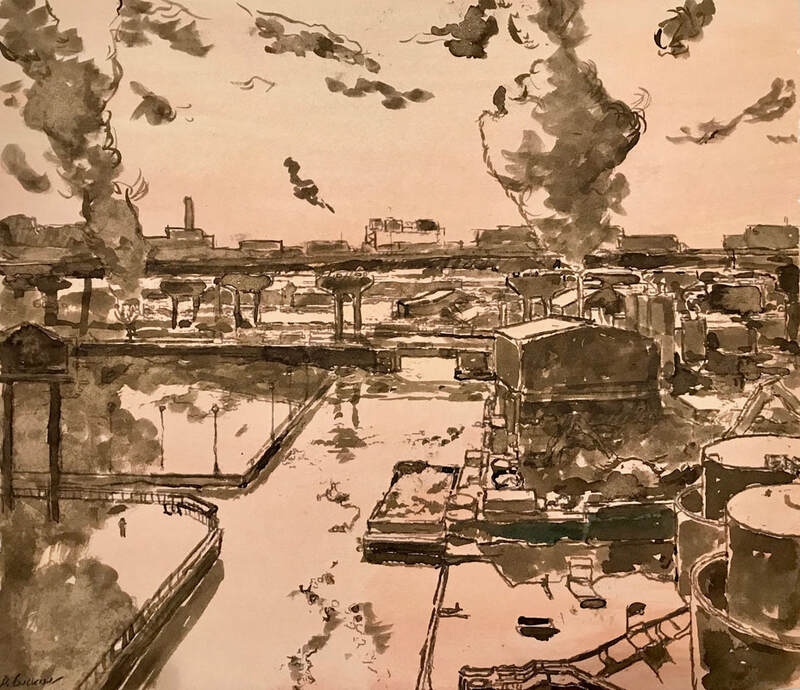 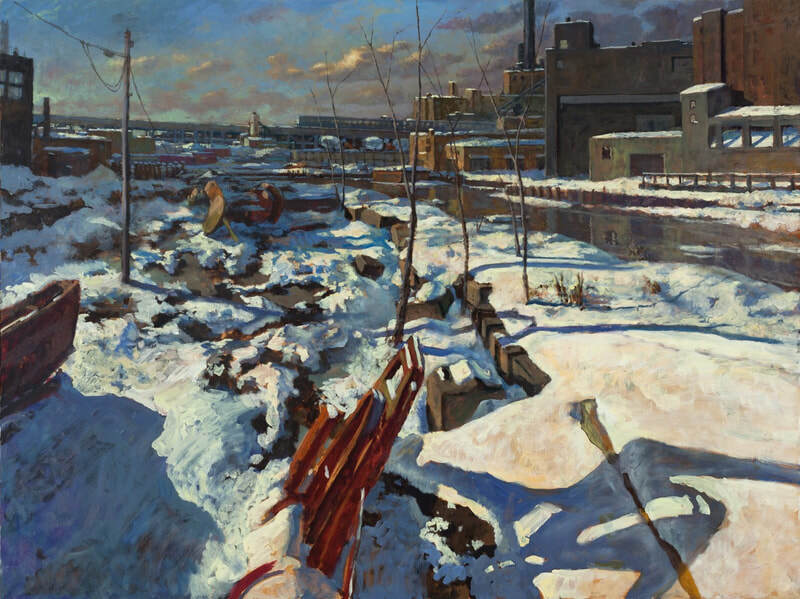 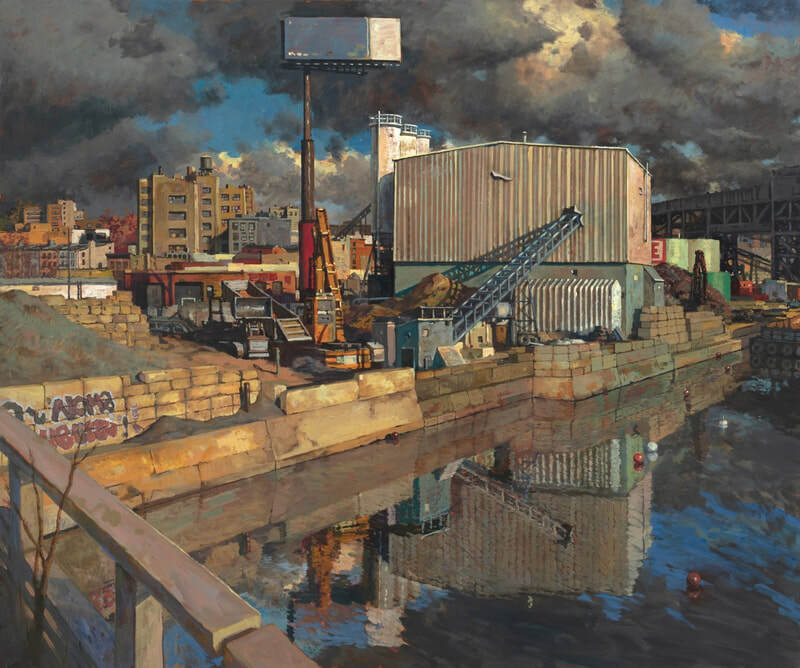 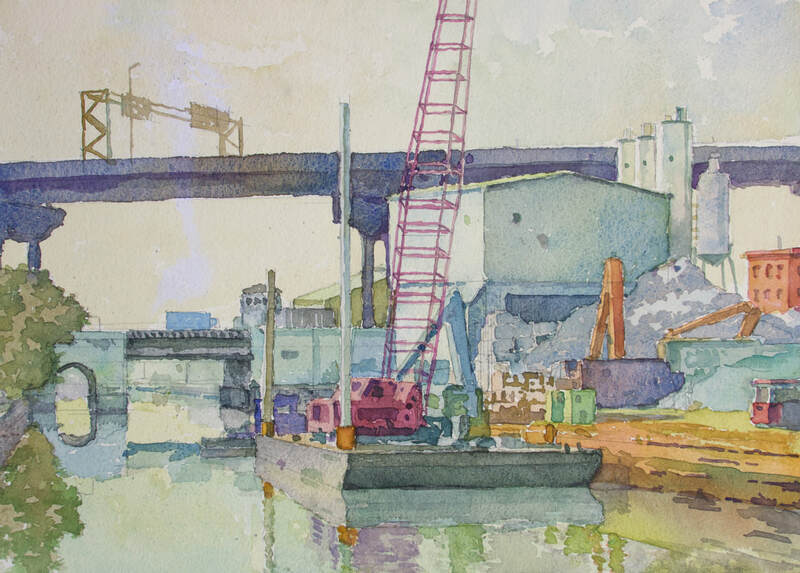 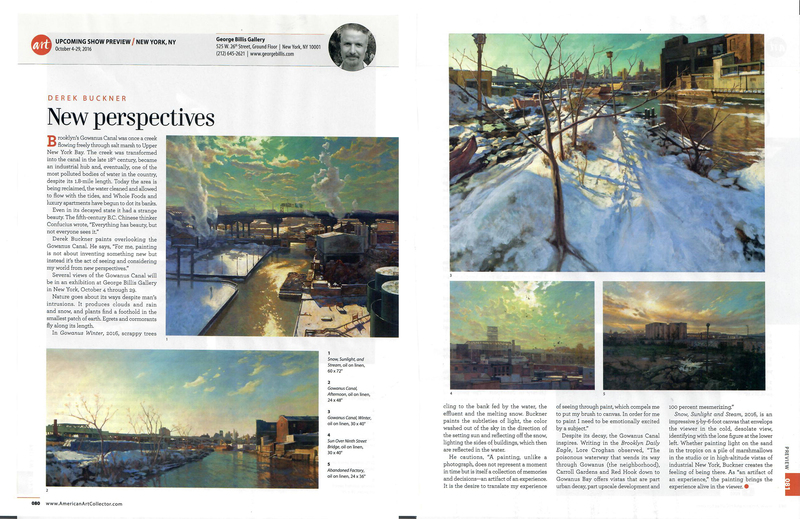 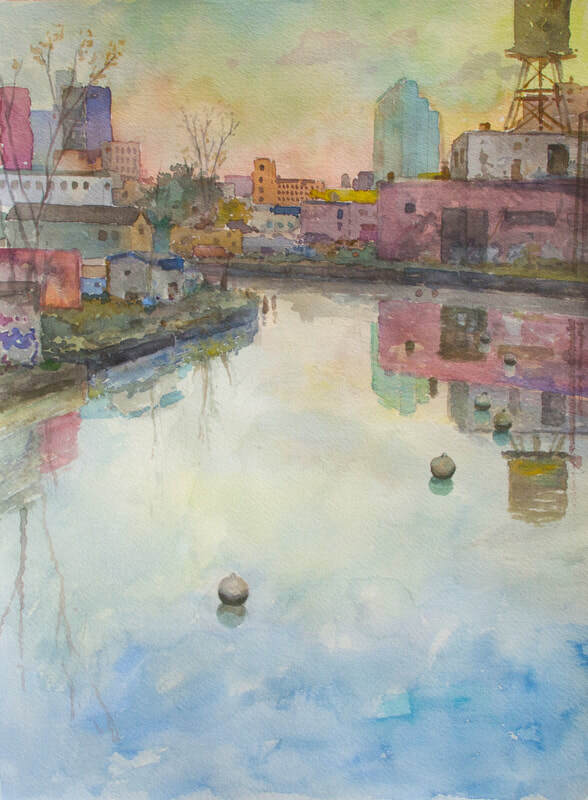 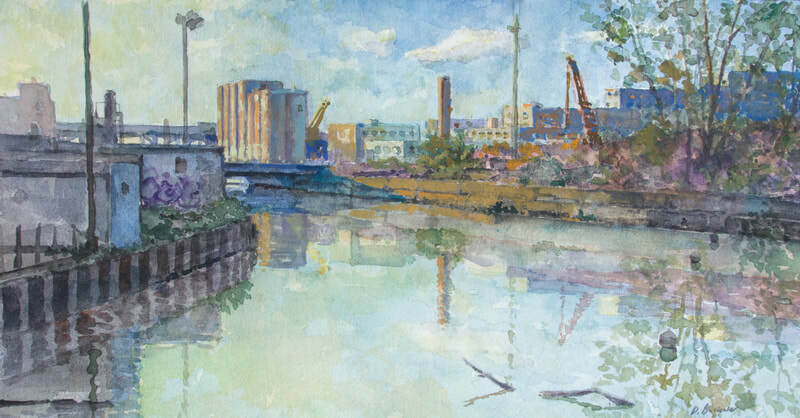 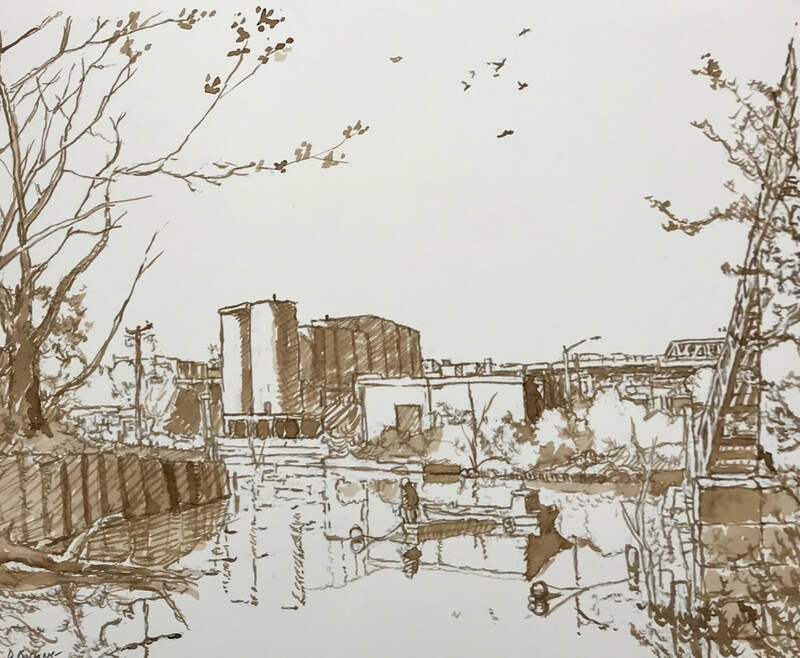 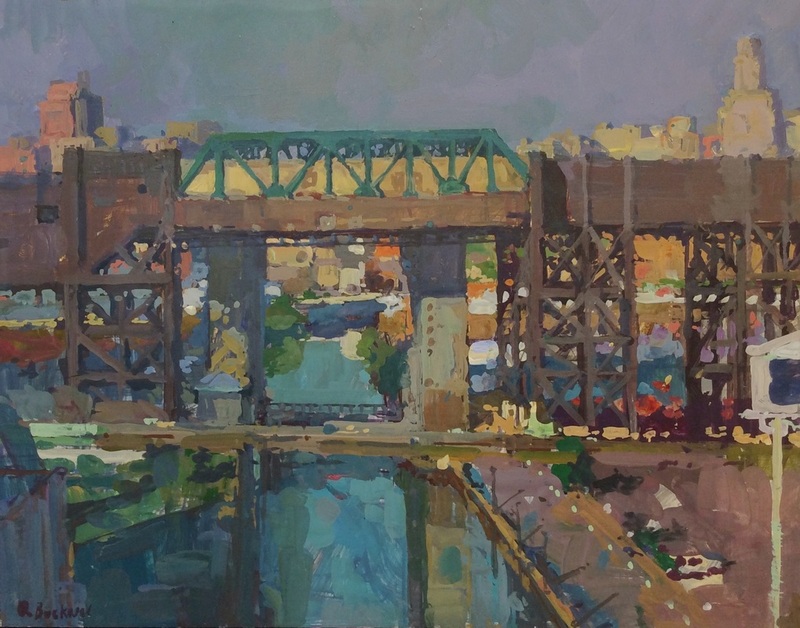 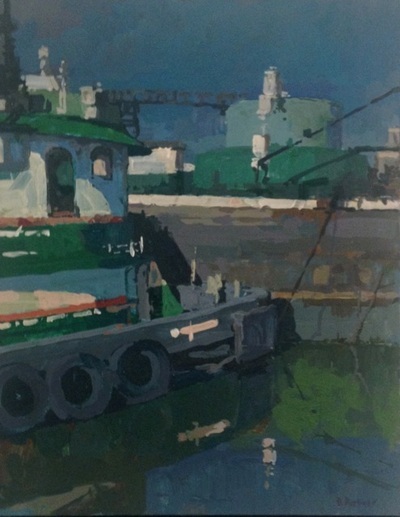 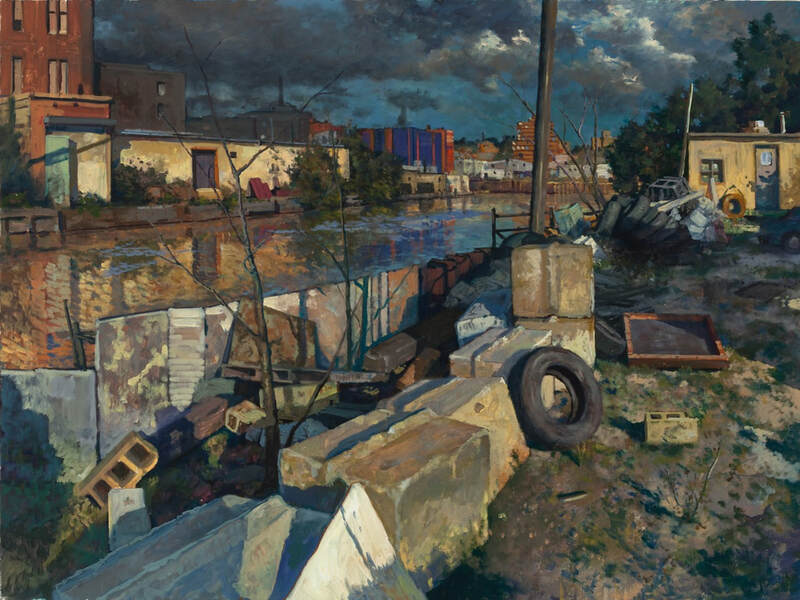 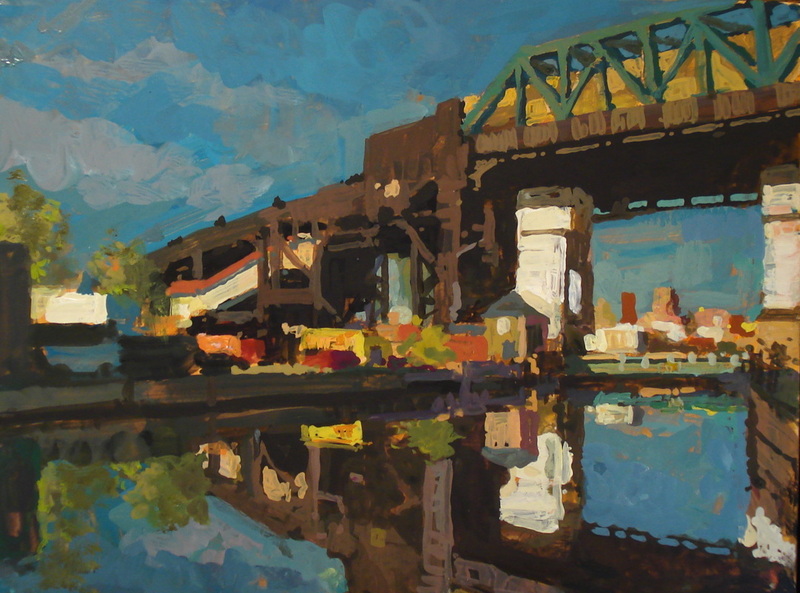 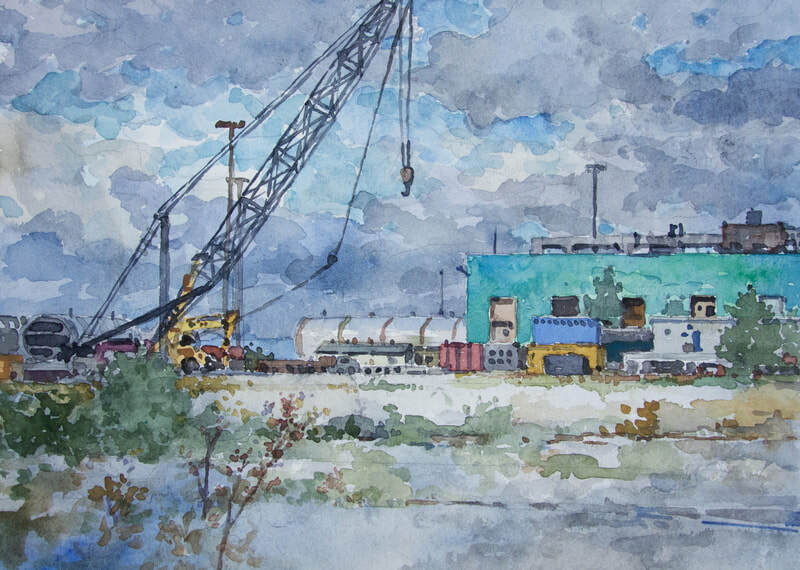 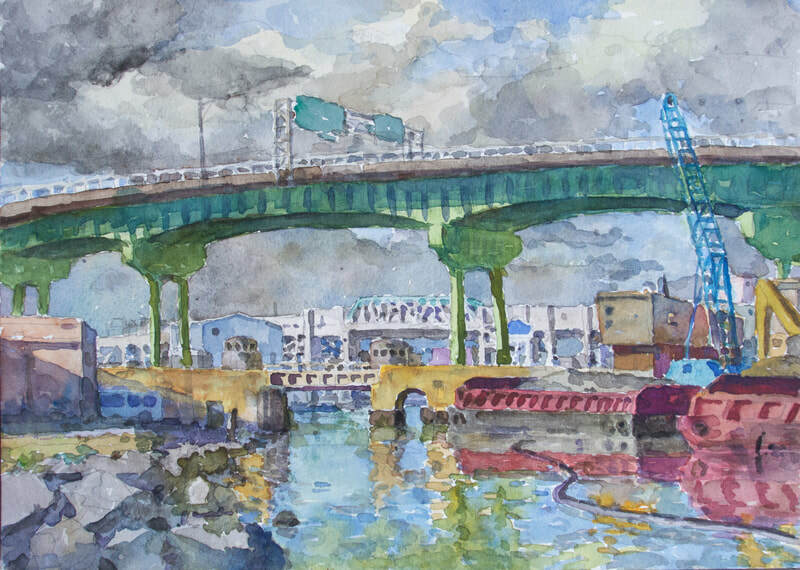 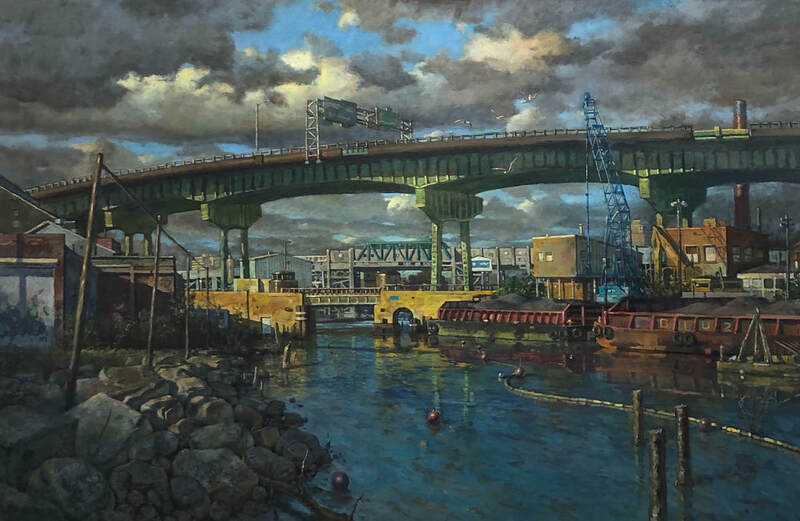 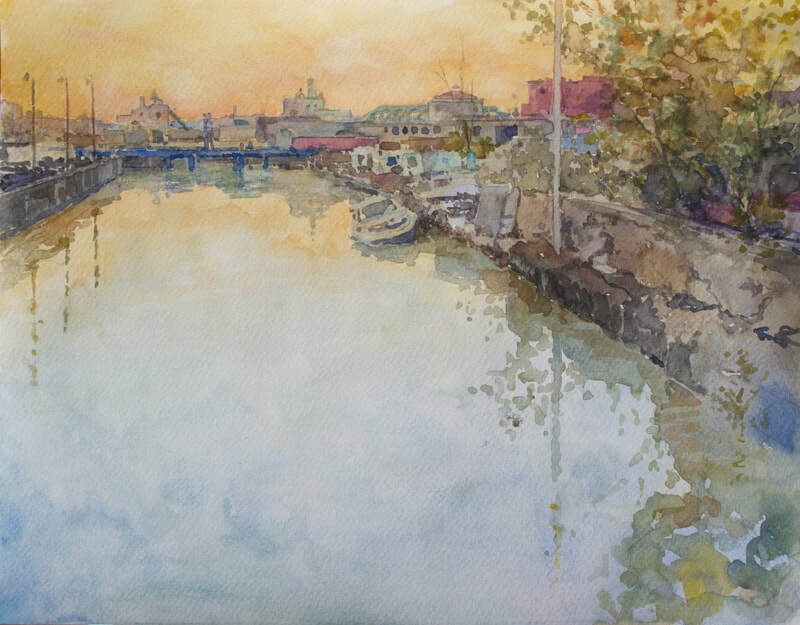 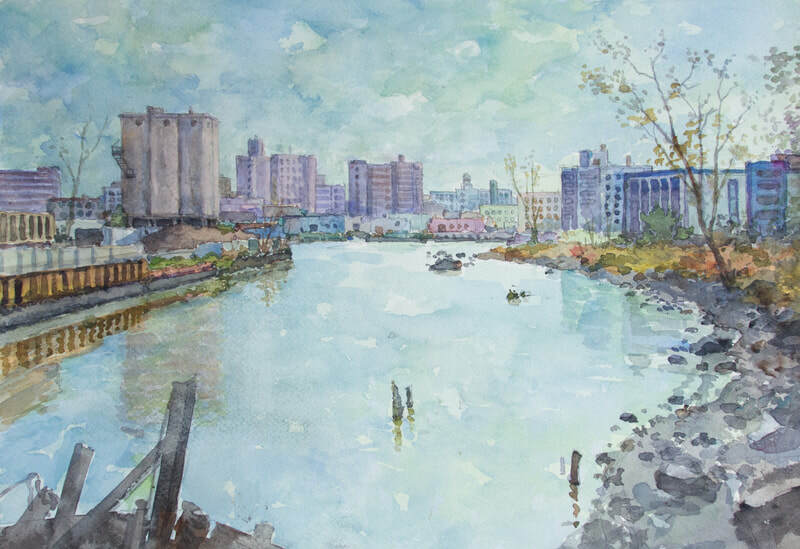 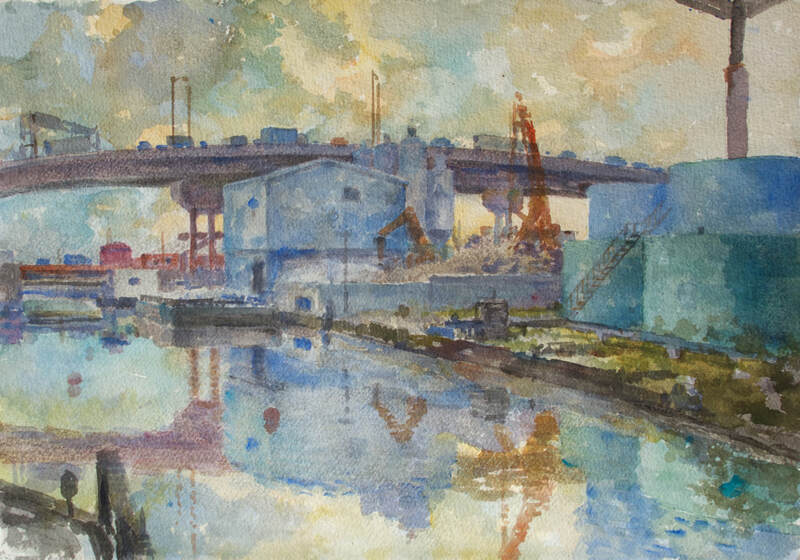 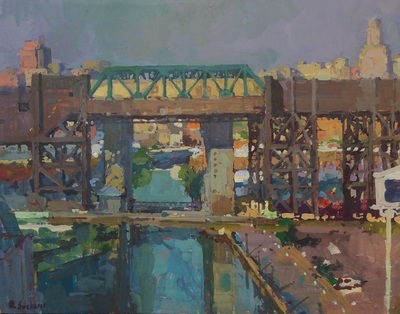 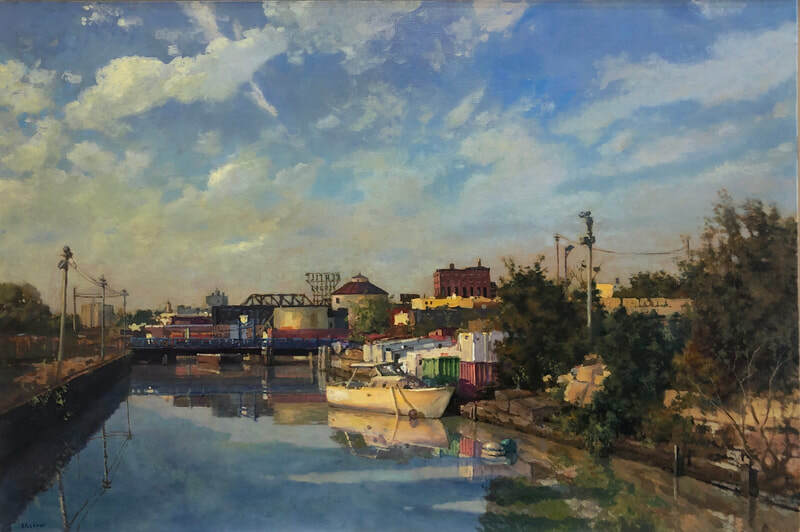 In these paintings, he allows the viewer a distinctive look into his everyday surroundings, often including factory rooftops, bridges and the rapidly changing Gowanus Canal. 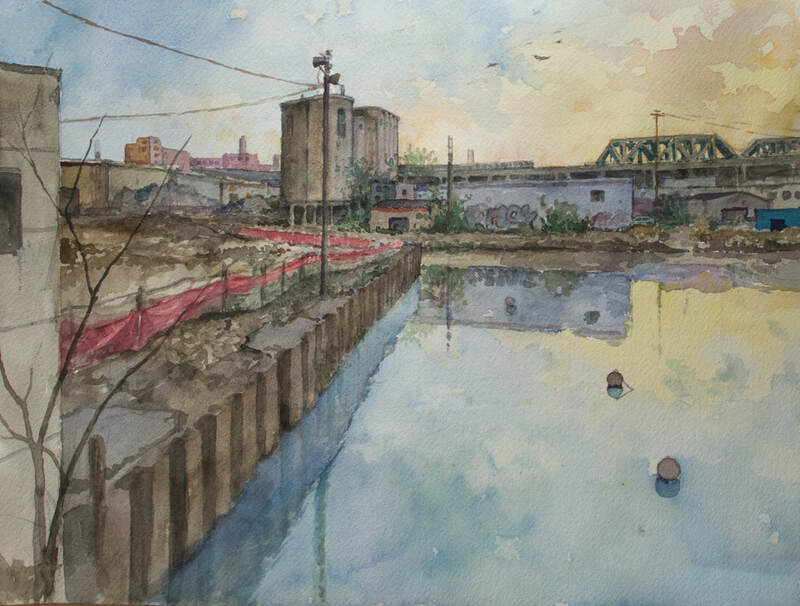 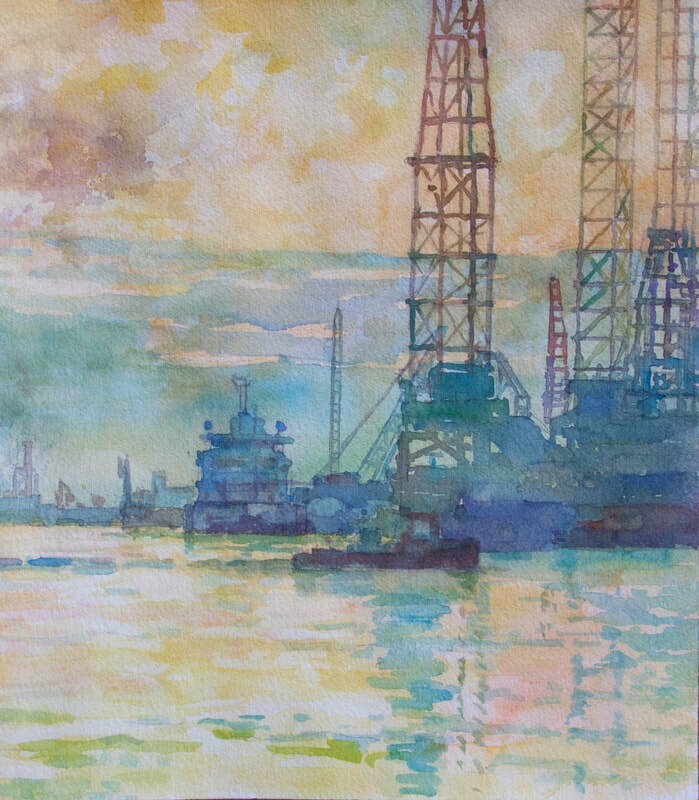 In Derek Buckner’s most recent series of oil and watercolor paintings, the vibrant palate and shock of light lend his subject matter an elegant intensity. 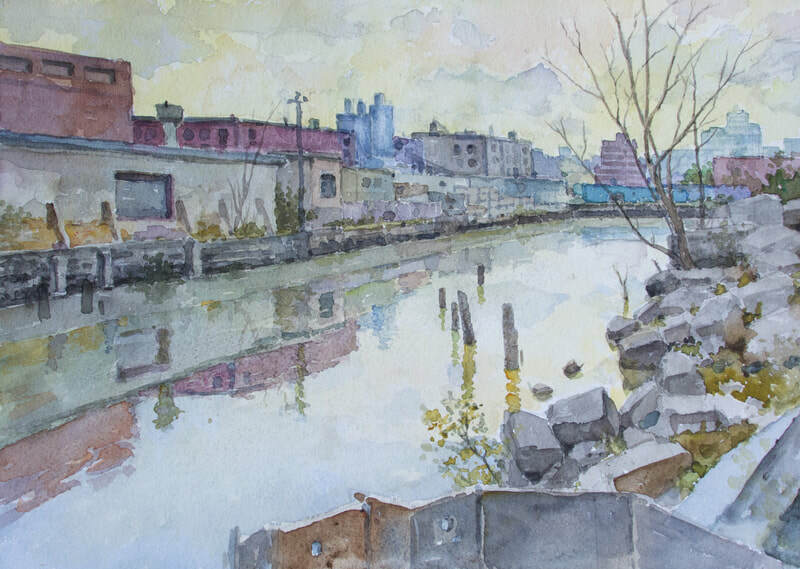 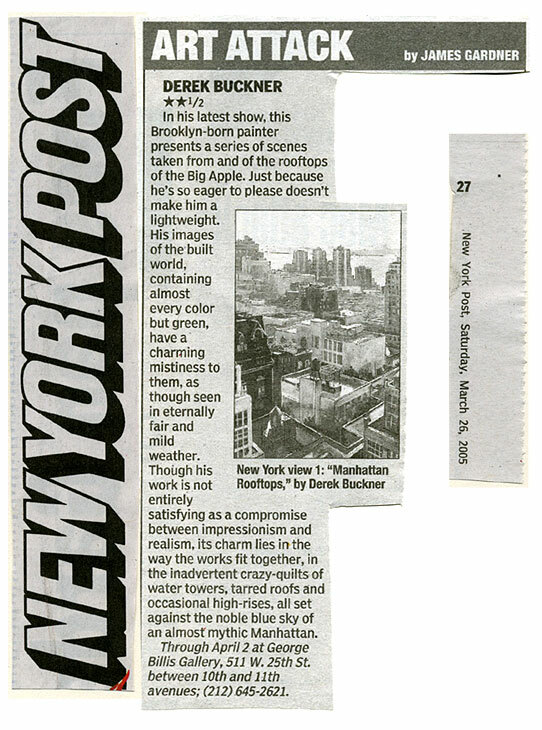 Buildings and factories appear not only as elements of industrial Brooklyn but also as blocks of pure color. 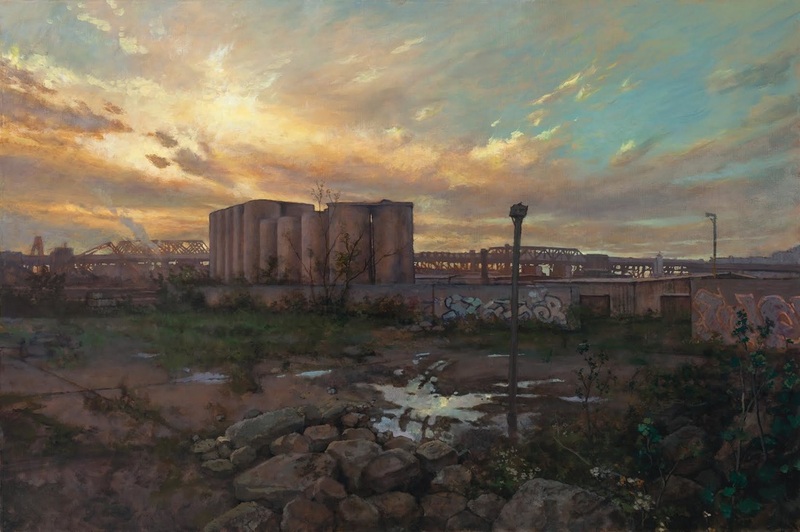 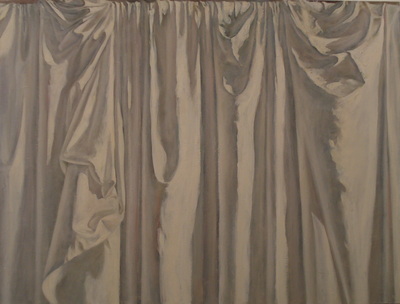 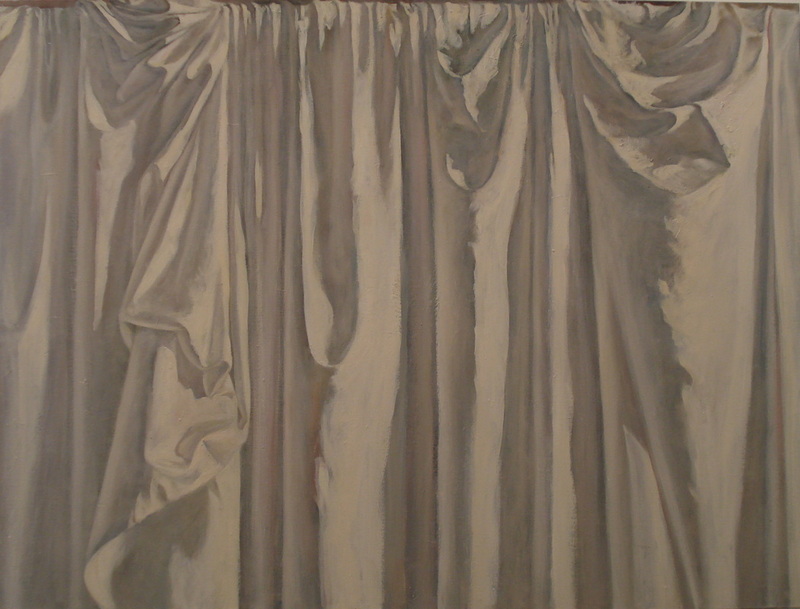 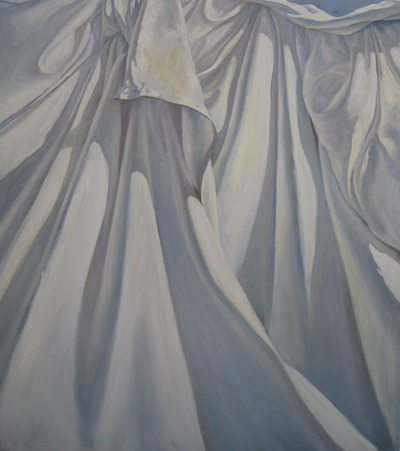 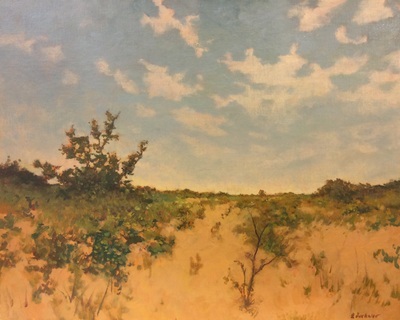 “For me,” the artist states, “painting is not about inventing something new but instead it’s the act of seeing and considering my world from new perspectives. A painting, unlike a photograph, does not represent a moment in time, but is itself a collection of memories and decisions— an artifact of an experience.” Buckner’s goal is not to copy what he sees but to provoke his own visual curiosity and excitement in the viewer.